No disco balls or polyester suits. 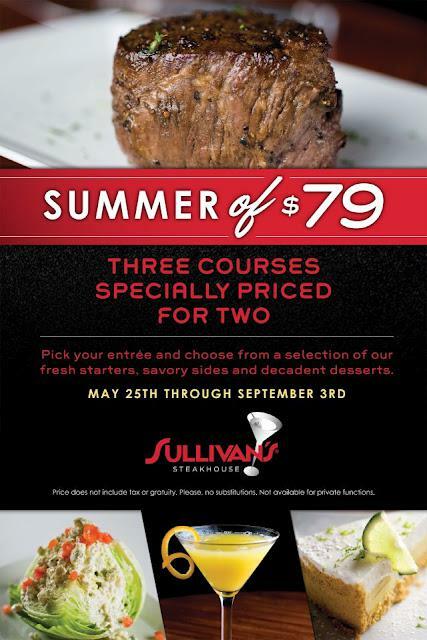 At Sullivan’s Steakhouse “Summer of ‘79” means a fantastic three-course menu for two for just $79. Executive Chef James Mockerman is pleased to announce that Sullivan’s Steakhouse will feature the “Summer of ‘79” menu from Memorial Day to Labor Day, May 28 – September 3. For a date night or late night, Sullivan’s is the destination to experience a complete night out on the town under one roof – from cocktails such as the famous Knockout to a cozy dinner for two to live entertainment – creating an unforgettable summer evening indulgence. 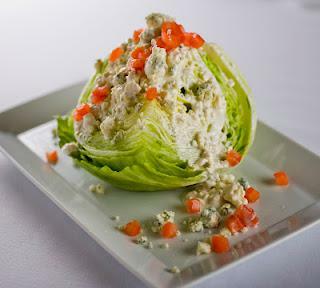 Start with one of Sullivan’s signature starters, including Chilled Asparagus Bisque with Jumbo Lump Crab & Chive Oil, Caesar Salad or their famous Iceberg Lettuce Wedge, then move on to a choice of Filet Mignon, Salmon Fillet, Roasted Chicken or Crab-Stuffed Shrimp paired with one of Sully’s signature house-made side dishes. Finish it off with one of Sullivan’s perennial dessert favorites, Bananas Foster Bread Pudding, Key Lime Pie, Chocolate Mousse or New York-Style Cheesecake. Care to add a bottle of wine? Sullivan’s is featuring two great wines by the bottle and by the glass – Four Vines Zinfandel for $38/$10 and Kunde Savignon Blanc for $38/$10 – in addition to its extensive wine list. 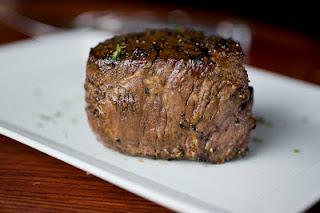 Sullivan’s Steakhouse is located at 17795 North Dallas Parkway Dallas, Texas 75287 and is open for dinner Monday through Saturday from 5 to 11 p.m. and on Sundays from 5 to 10 p.m. For more information, please call (972) 267-9393 or visit www.sullivanssteakhouse.com.